A hands-on cooking class culminating in dinner served with salad, wine and beer. Popular in Spain since Medieval times, the empanada originated from baked and fried pastries in the Middle East, and it arrived in Latin America over 500 years ago. Today, bakers from Peru, Chile, and Argentina pride themselves on making the perfect match — a sweet or savory filling and the warm pastry that holds it all together. 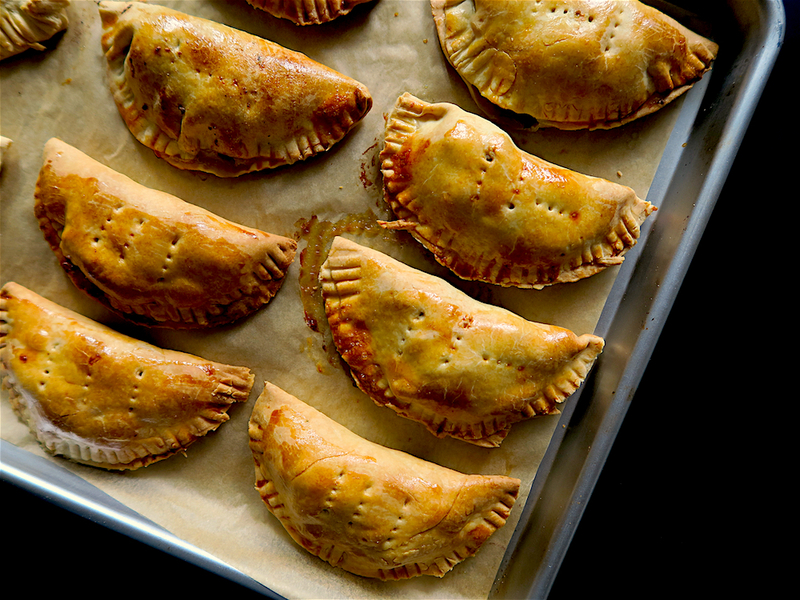 In this hands-on cooking class you will learn to make empanada dough from scratch, and you will cook three fillings: savory beef and onion, savory vegetarian, and sweet apple (with extra dough to-go so you can bake up your own at home)! Born in Peru and based in San Francisco, California, Nico Vera is the founder and chef for Pisco Trail, where he specializes in Peruvian cuisine and Pisco mixology. As a regular teacher and guest chef at 18 Reasons, he shares his passion for Peruvian food and culture through pop-up dinners and classes that are a gastronomical tour of Peru’s criollo cuisine and its unique culinary history. He invites you to visit http://www.piscotrail.com/ where you can find a calendar of upcoming events and many of his favorites recipes. Currently, he is working on a book project that is a collection of short stories and recipes from his mom.